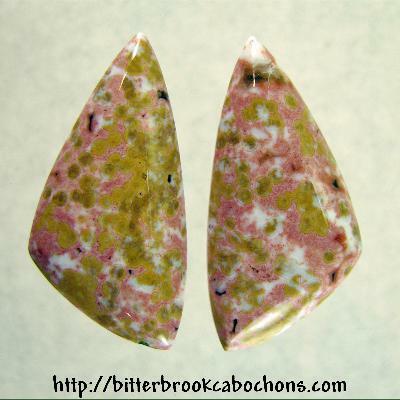 This pair of Ocean Jasper cabochons has an unusual color pattern. Freeform-cut symmetric cabs great for earrings or BFF pendants. 30mm x 15mm x 4.5mm; Tot. Weight: 24.15 carats.